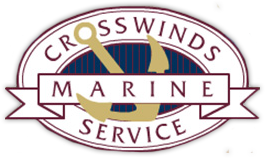 Crosswinds Marine Service is located on White Lake in beautiful Whitehall, Michigan. This quaint town offers shopping, dining, entertainment, and lodging all within walking distance. The Crosswinds docks are a few steps away from the Hart / Montague bike trail and not far from bike, kayak, and boat rentals. at one of our local restaurants and then a quiet sunset walk along one of our many scenic beaches. The downtowns of Montague and Whitehall offer an art center, shopping, and is the home to many summer and winter festivals. Live music concerts are given throughout the summer at the White Lake Community Band Shell. Catch a play at the Howmet Playhouse or a movie at White Lake’s North Star Cinema. We are located close to Michigan’s Adventure theme park, and within 3 hours of downtown Detroit and Chicago. Visit the White Lake Area Chamber of Commerce for more information on White Lake area attractions, lodging, and entertainment. After you have enjoyed all that is on the Crosswinds on the Lake menu, here are some other dining options throughout the White Lake area.